Unfortunately, once a rodent or two are able to get inside your home, the amount of them will continue to drastically increase until they’re removed thanks to how rapidly they’re able to reproduce. The increasing numbers means all the more damage can be done to your home, such as gnawing on wood and furniture, destroying insulation which causes the energy bill to rise in the process, and more. Rodents can also be infected with disease and easily spread it around with their waste, making it all the more pressing to get them taken out of the home as soon as their presence is noticed. Properly controlling the potential or current rodent problem in your home calls for technicians with years of experience in the area, which is what we’re here for! We’ll inspect your home to find all the possible entrances inside, as well as check for any signs that they may already be present. In either case, we’ll use sturdy steel wool to cover up these entrances to stop any more from getting inside for good, as they can’t chew through it. If we have found indications that there are rodents in your home, we’ll tend to it for you so you won’t have to worry about all the potential problems they bring with their presence. 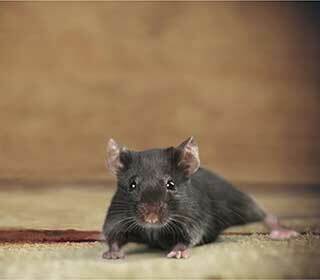 Attics are a particularly easy place for rodents to hide out in and make themselves at home for many reasons. There’s usually insulation there that they can tear up and use for nesting, people don’t tend to frequent the area often, and there’s wood for them to gnaw on as well. That’s why we offer a specialized service that focuses exclusively on capturing and safely removing rodents from your attic using our high-tech equipment and extensive knowledge. Call Attic Cleaning San Jose today and find out how to quickly and easily get your appointment scheduled. We’ll come out when it’s most convenient for you!